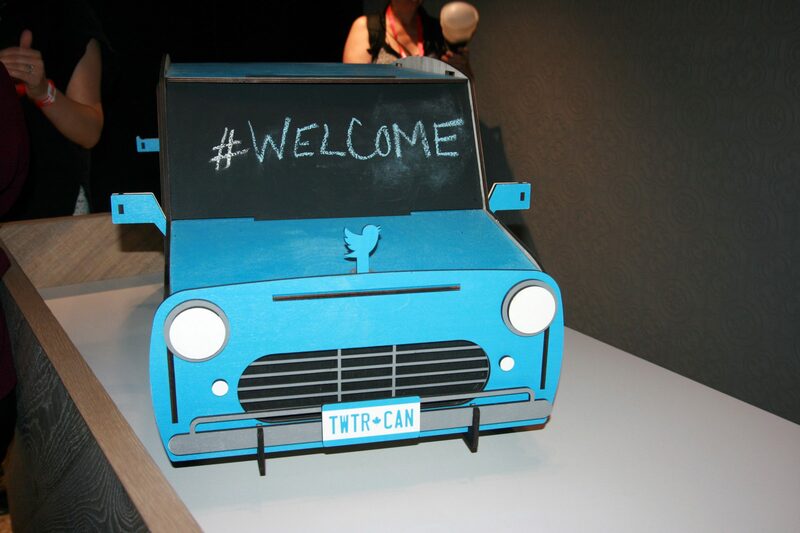 As part of this year’s TechWeek in Toronto, Twitter Canada recently invited more than 200 guests, including ITBusiness.ca, to visit its three-year-old office in Toronto’s Liberty Village neighbourhood. Join us for the tour. 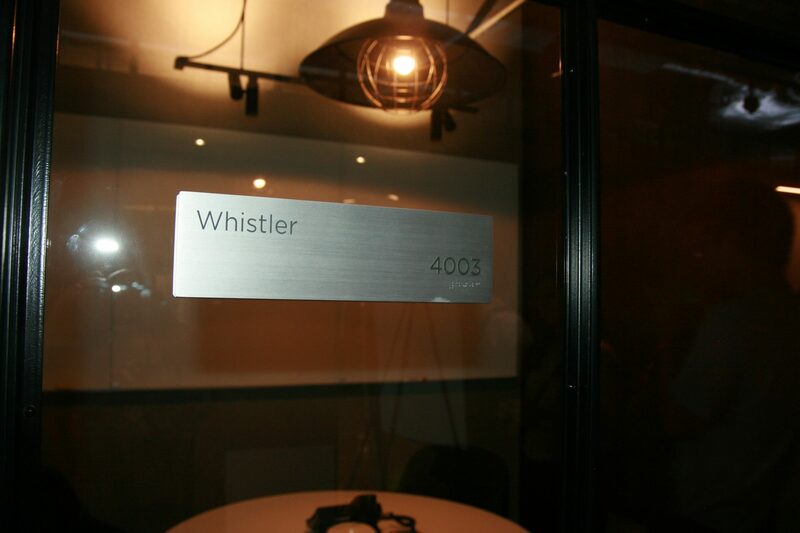 It would appear that Facebook’s Canadian team was tearing a page from Twitter’s playbook when it named its meeting rooms after random Canadiana, though Twitter’s rooms were more likely to be named after Toronto neighbourhoods (the Annex, the Beaches, Yorkville) than anything national. 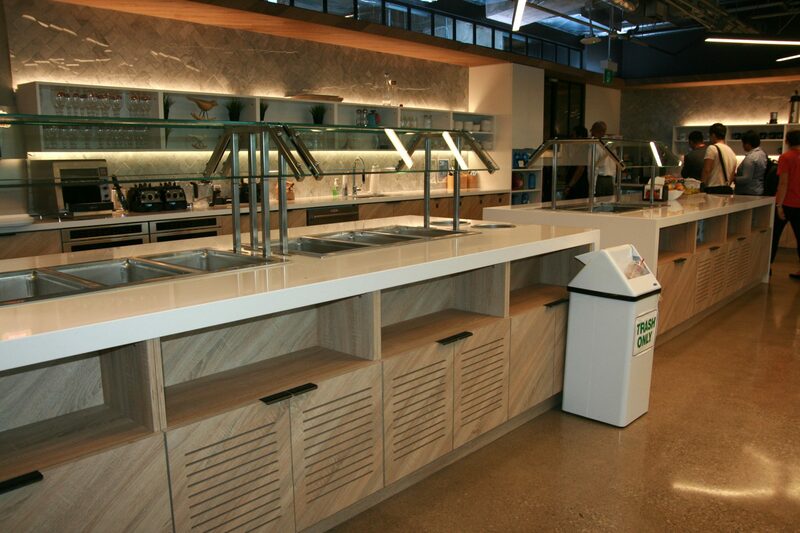 Not merely content to offer employees a well-stocked cafeteria, Twitter’s common room might be the most interesting space on the floor. 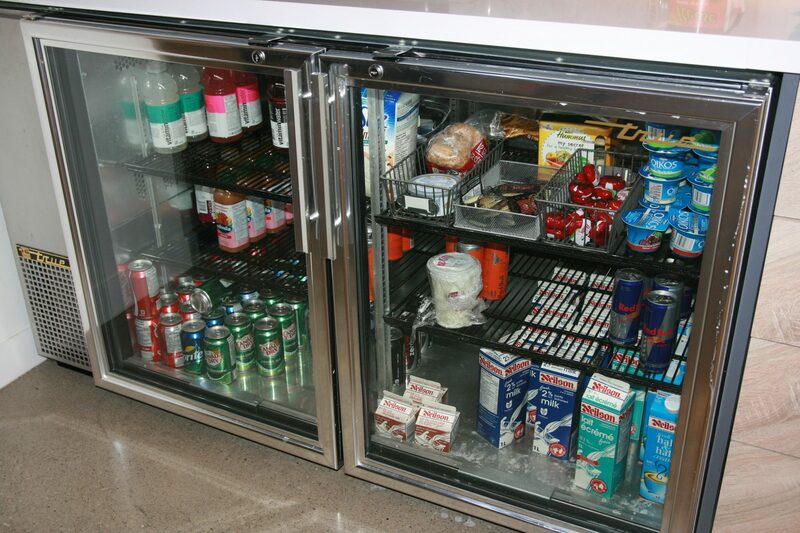 Naturally it includes a full buffet (unstocked during the tour, alas) and the usual assortment of cereal, snacks, and refreshments. 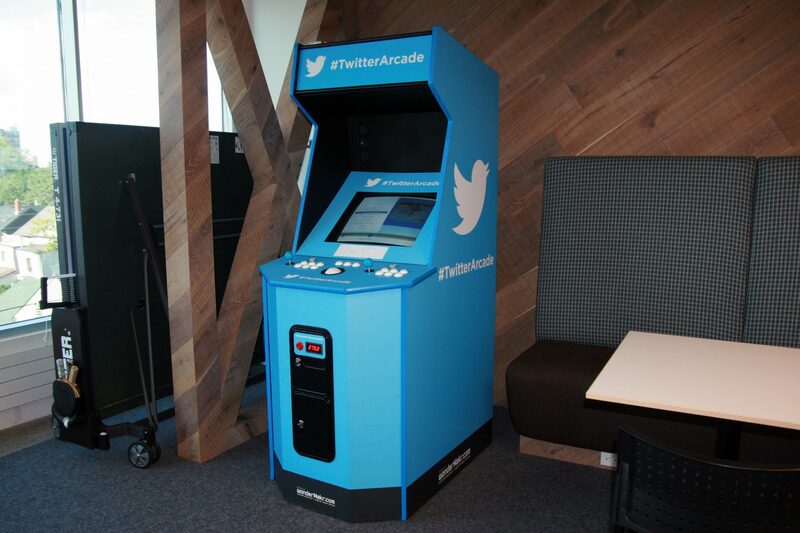 It also includes the Twitter Arcade, which features a surprisingly long list of games including Donkey Kong, Fatal Fury, Killer Instinct, and Joust. A “tweet for tokens” system offers free plays in exchange for tweets. 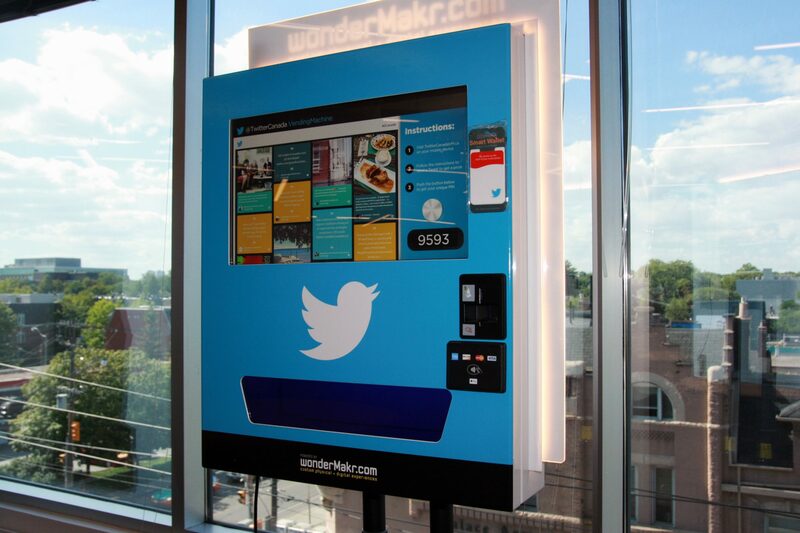 Manufactured by Toronto-based WonderMakr, this unique vending machine first requires employees to visit TwitterCanadaVM.ca, then send the specific tweet displayed, which the machine will pick up. Pressing the machine’s screen will then produce a PIN number, and entering the PIN on your phone will cause the machine to dispense your prize. We think. The tour was moving so quickly we didn’t have time to give it a try. 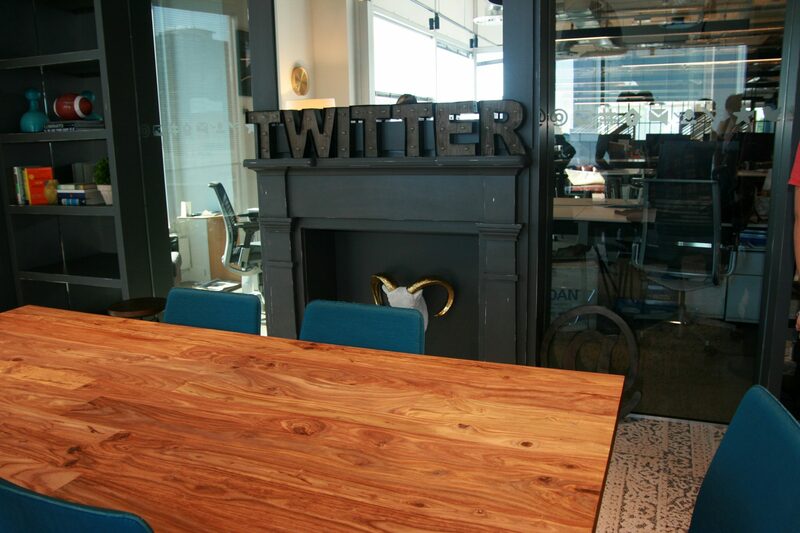 The common room is also the most decorated area at Twitter HQ. 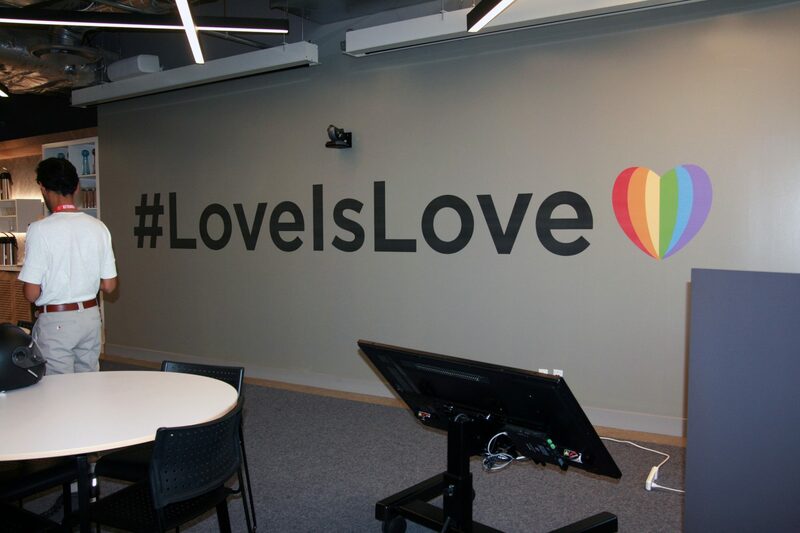 The specific message changes regularly – this was painted in honour of Pride, and replaced #ComeTogether, which had gone up in honour of the Toronto Blue Jays making the playoffs last October. 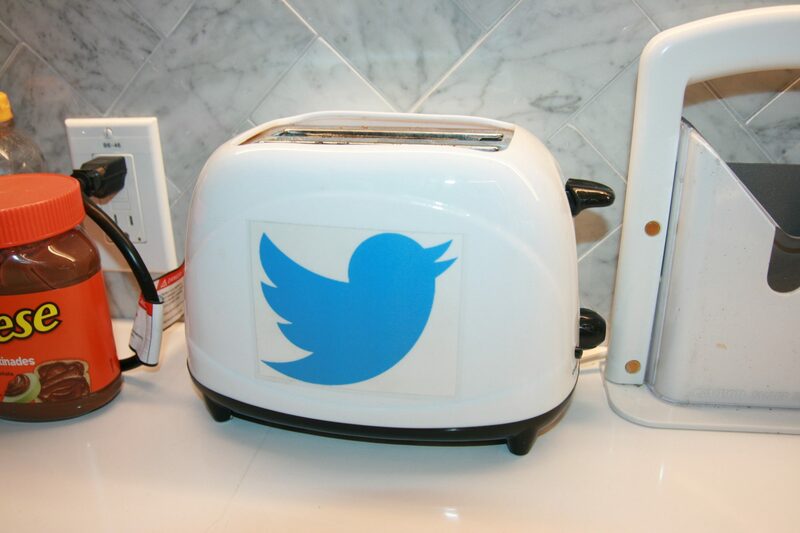 Sadly, the official Twitter toaster, which burns an image of the company’s blue bird logo into your breakfast, was not working when we visited. 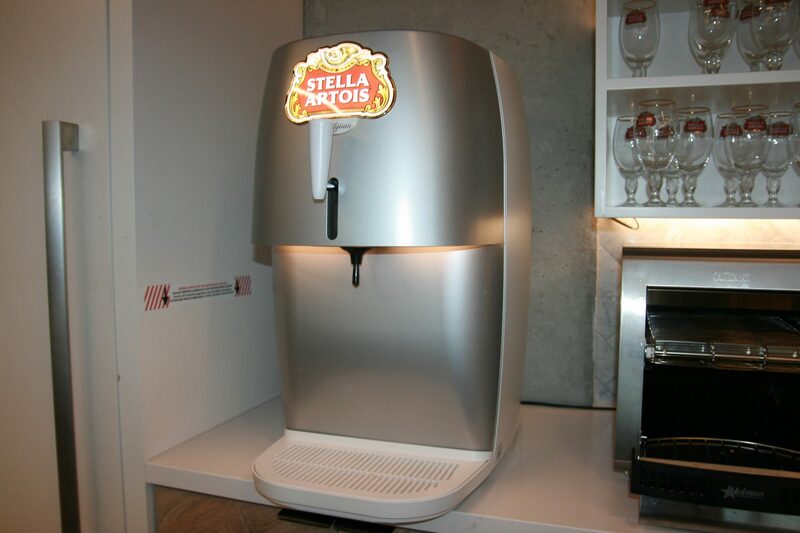 But employees were free to help themselves to Stella! 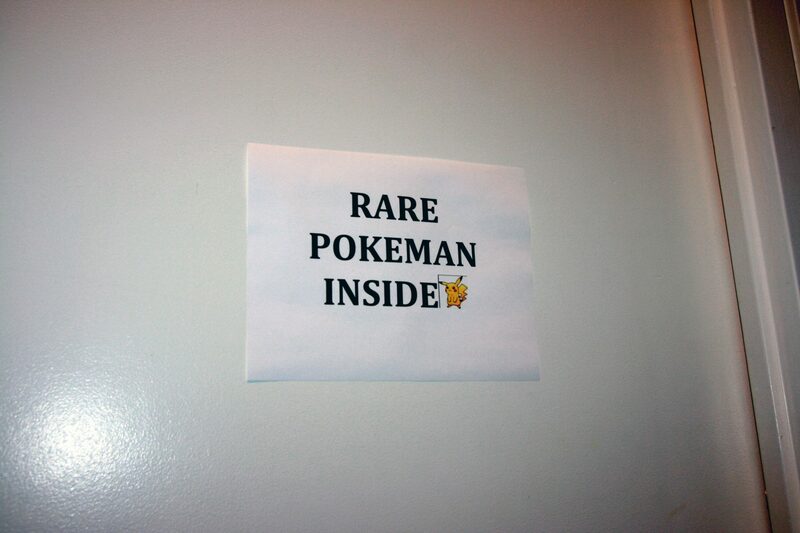 Even Twitter has gotten into the Pokémon Go craze (though we don’t appreciate the spelling mistake). 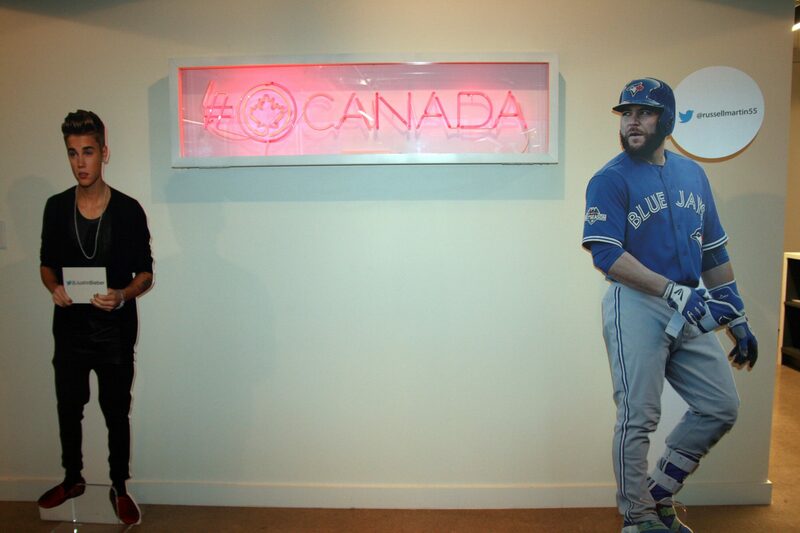 No, Justin Bieber and Blue Jay Russell Martin don’t actually work at Twitter – but as two of Canada’s most popular tweeters, they have a place of honour at headquarters, next to the Toronto office’s specialized neon sign. 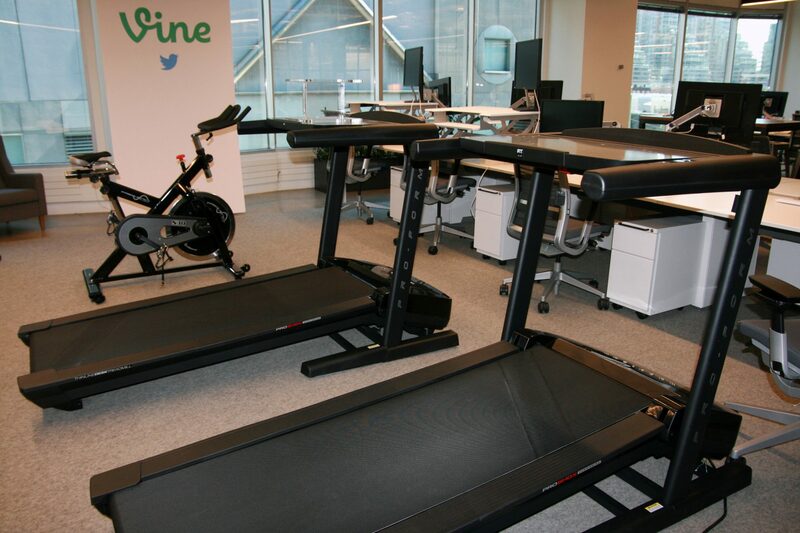 We were asked not to shoot photos of the office’s work space out of respect to employees, but our tour guides made an exception for the “exercise space,” where restless workers can type up a report from their treadmill should they choose to do so. 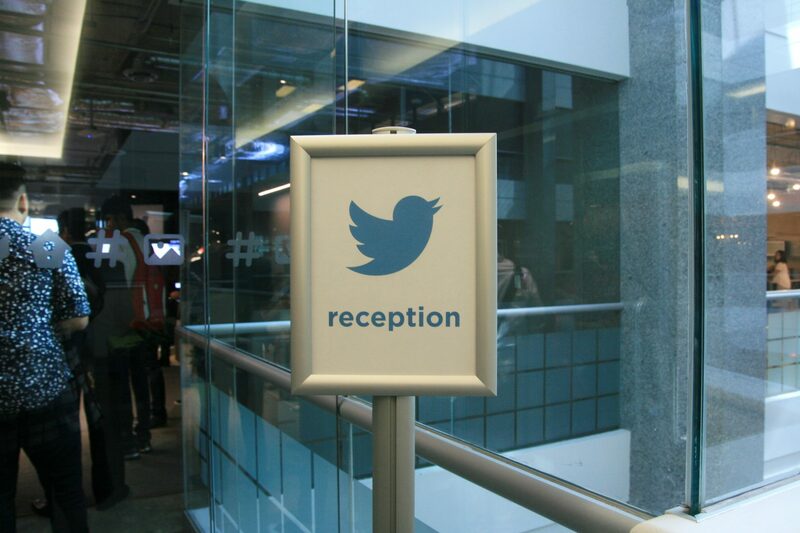 Finally, no room gives Twitter’s Canadian employees more pride than its library, where Prime Minister Justin Trudeau became the first sitting world leader to conduct an interview through Twitter.